Smiling is a big deal! Not only are your eyes the main way for you to see, but they also are one of the main ways that others see you! Did you know that the way to tell the difference between a real smile and a fake smile is by looking at a person’s eyes? French physician Gullaume Duchenne studied smiles extensively. He found that a fake smile and a genuine smile are controlled by two completely different parts of your brain. When you “Say Cheese” (a fake smile displayed on cue) it is controlled by your motor cortex. On the other hand, a genuine and natural smile that is as a result of emotions is controlled by your limbic system. A natural smile that involves both your eyes and mouth is called a Duchenne smile, named after the man that dedicated much of his studies to smiling. Sanaz Harirchian would like to help you have a full and happy smile that involves both your eyes and your mouth. 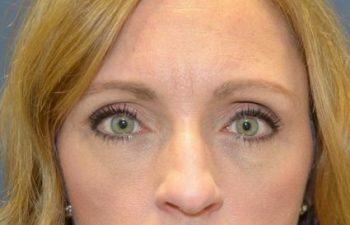 She offers a wide range of eye and brow surgery options to help enhance the appearance of your eyes and your smile! Dr. Harirchian is a board certified and fellowship trained facial plastic surgeon who brings talented artistry and refined skill to cosmetic surgery for your eyes. She will use minimally invasive techniques to produce natural, long-lasting outcomes for you and your smile. Call Sanaz Harirchian’s leading Houston practice to schedule your personalized approach to your eye plastic surgery procedures.